Premium32, Premium28 and Premium24 represent the finest presentation and printer paper 8.5x11. The presentation paper line offers a thick paper , heavy paper which is super smooth and has a superior white paper shade. Weighing in at an impressive 24 lb paper, 28 lb paper and 32 lb paper, the HP Premium copier paper line is the ultimate choice for presentations, proposals, flyer paper and other important business documents that need to look and feel professionally printed. This American made printer and copier paper is Made in the USA. This paper can be used as inkjet printer paper, laser printer paper, or copier paper. This acid-free paper prevents yellowing over time to ensure a long-lasting appearance. Forest Stewardship Council (FSC) certified. Contributes toward satisfying credit MR1 under LEED. Next time you print paper, choose HP printer paper and office paper. 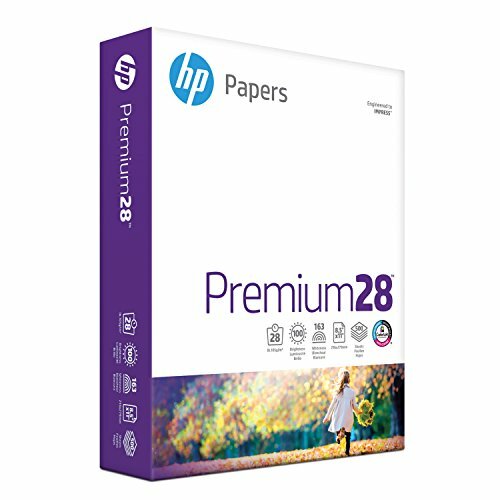 If you have any questions about this product by HP Paper, contact us by completing and submitting the form below. If you are looking for a specif part number, please include it with your message.